30 March 2000 we registered a new venture at Companies House following the Civil Procedure Rules (CPR) being applied to court cases on 26 April 1999. The CPR and their associated Practice Directions were designed to improve access to justice by making legal proceedings cheaper, quicker, and easier to understand for non-lawyers. iJustice® launched in January 2014, is the latest version of our online dispute resolution platform developed to achieve better management of any claim, made for whatever reason, enabling it to be dealt with justly and at a proportionate cost. 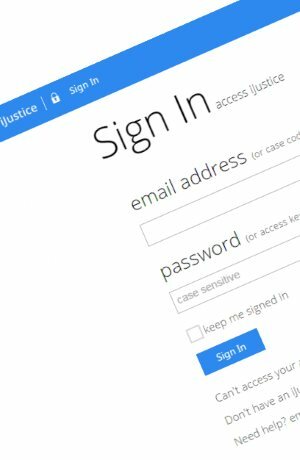 iJustice® is continuously being updated, in-house, to best enable parties to work together to avoid proceeding altogether, or, by following Pre-action Protocol to narrow the issues in claims filed with the County Court of England and Wales. Submit a draft claim and craft the claim using copyright documentation ready for claimant approval. Create, collate, track and manage the whole claim in one place. Upload, use and remove attachments, documents and photographs to enable the attachment of evidence to the claim, claimant and witness statements and offers. Invite a friend, an adviser, an Independent Expert, a McKenzie Friend or counsel to join. Creating an online support team as and when needed. Receive Email and SMS text alerts to be informed when the other party or a member of the support team replies. Produce the Joint Evidence Pack (JEP®) evidencing the attempt to avoid court action to attach to the claim papers if the matter has to proceed to court. Where parties fail to reach agreement iJustice® manages all the services and every court form needed to support the Claimant as a Litigant in Person through the entire court process and post judgment enforcement. View the claim and the support information supplied by the claimant to explain the issues. Fill in their Response© or alternatively submit a response in plain text. Upload, use and remove attachments, documents and photographs to enable the attachment of evidence to the Response, statements and offers. Invite a friend, an adviser, a solicitor or an independent expert to join. Creating an online pre-court support team as and when needed. Edit and proof work in privacy before sending Responses, communications and attachments to the claimant. Approve button to send when ready.